Yes singing, they love watching TV's shows like X-Factor, Australia's Got Talent, The Voice and Voice Kids and they want to join in. Karaoke for the kids is a great way to keep your kids entertained all year round with birthday parties, Christmas holidays, new years eve parties and breaking up school holiday boredom. Its fun for all ages, even the adults, yes once the kids are tucked in at night give it a go! Singing is a great educational learning tool as it helps your kids with their reading as they sing-along with the on-screen lyrics. Singing a great confidence booster for children when they get up and sing in front of others. Its easy, affordable and great family fun and your friends will love it too. We get many calls from parents looking to hire a karaoke system for a children's birthday party or special occasion, when we tell them how cheap it is to own a system and its yours forever they are really surprised. See in most cases they have been quoted around $200 to $300 for the hire of a system for a few hours of fun. This is like a second present that just keeps on giving for all the special occasions still to come. 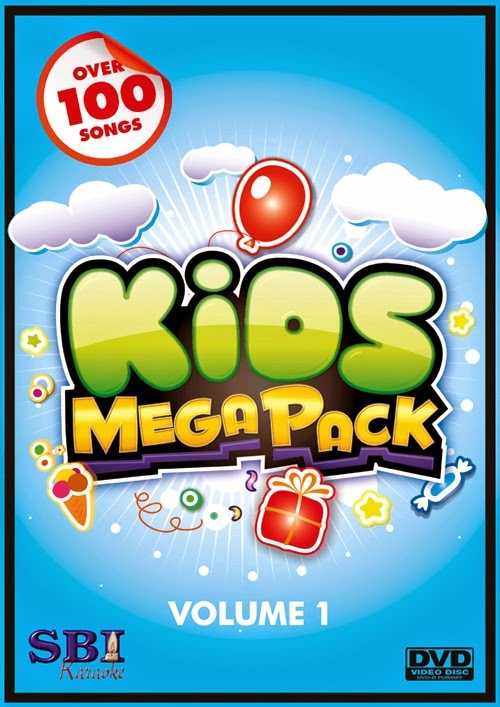 The range of karaoke music available is massive all the latest Australian radio hits are available including popular children's songs and nursery rhymes and grows weekly. There are Karaoke options for everyone starting from as little as $69.99 with the Karaoke Converter, which connects to your home DVD Player and comes with two microphones and some DVDs to get you started. It's a simple and superfast solution that will have you singing along to Karaoke DVD's in around 5 minutes with the lyrics coming up on your home television and the sound coming from either your TV or home theatre system. 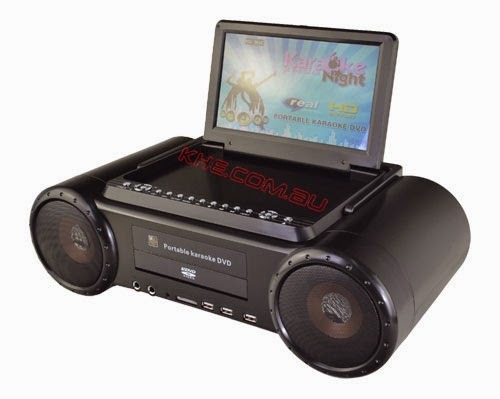 The Karaoke Boom Box is a very popular option for the Kids as it a multi-purpose device, which can play normal Audio CD's and MP3's (from USB port), has an FM Radio and is a full function world zoned DVD player so you can watch movies from around the world on the big inbuilt 9" LCD screen which folds into the top of the machine. Also available for the unit is a retro games pack with 300 classic video games and two USB gaming controllers for extra fun! With its built in 20 watt sound system your good to go, it even has a 150 minute rechargeable battery inbuilt which charges when you connect it to the mains power. So this is a truly portable machine which can also be connected to a larger TV and Amplifier and sound system when you want to increase the fun factor. And lastly its a Karaoke Machine with two microphone inputs complete with echo control and will play both Karaoke CD+G discs and Karaoke DVD discs, plus you can also alter the song key, stepping it up or down from the original if you need too making it better suited to your singing style. So a truly portable all-rounder device which the kids can enjoy in their bed room or out doors with friends. The next level up is The Sonken MP-600 Karaoke Machine, this dedicated player connects directly to your home television using the RED/WHITE and YELLOW RCA cables, for the on-screen lyrics and sound, it can be connected to a home theatre system or amplifier and speaker system for a bigger and larger sound experience. This unit also plays both Karaoke CD+G discs and Karaoke DVD discs but this Karaoke Machine can also play Digital Downloads in MP3+G format from a USB memory stick. You can have some 1500 songs running from a USB memory stick from a simple to use on-screen song menu so you can quickly select your songs. With over 48,000 songs available on Digital Download and growing weekly this gives you great flexibility in growing your song library. 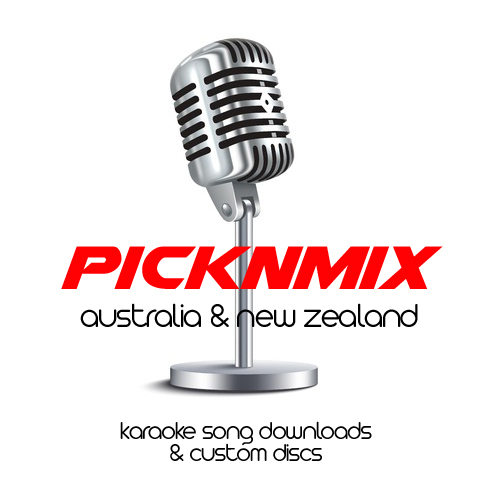 Single song or full album's can be downloaded instantly 24/7 with payment processed via PayPal, you then download to your PC and copy the files to a USB memory stick for use in a the Karaoke Machine. 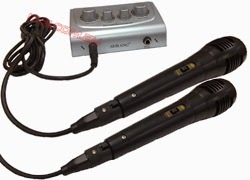 As an added bonus this Karaoke Machine will also record your performance to a USB memory stick so you can improve your singing by playing back your performances and share it with your friends. It also features Echo for the microphone and Key Control as well. So as you can see there are three super fun option so your kids can have Karaoke fun at home. 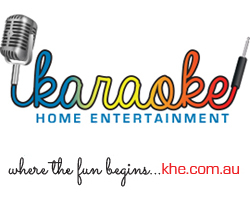 Karaoke Home Entertainment Melbourne and Perth stores have many different package deals to suit all requirements and if you can't make it to a store simply call 1300 550 630 or shop online for fast delivery Australia wide.